A foodie's dream - there aren't many other places in the world where street food is as good as gourmet. Ranging from Bangkok's favourite Pad Thai to the Indian-infused dishes of Southern Vietnam, each meal is a fusion of many flavours and cuisines you may not have tasted before. If that wasn't as good enough reason to visit Asia as any, the diversity within such a relatively small distance should be. From the bustling atmosphere of Beijing or Delhi to the calm serenity that comes with visiting Bali or the hippy town of Pai in Thailand, it's rare to find a continent which manages to entrance so many of its visitors. As with any trip abroad safety is key, and so purchasing a great travel insurance policy for Asia should be at the top of your 'to do list' before you depart on your latest adventure. Gadget insurance options for your mobile phone, tablet, kindle and much more! 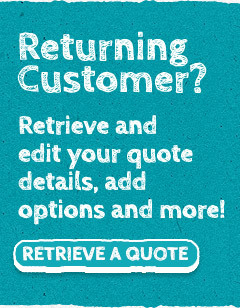 To get a free and easy quote now, simply click the 'Get a Quote' button to begin and select the policy which suits you best. Alternatively, you can always contact us and speak to one of our customer service team who will be more than willing to help.